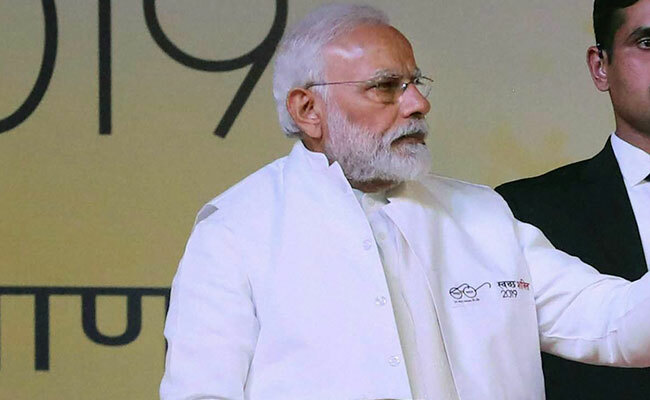 Crediting women for being in the forefront of the 'Swachh Bharat' campaign, PM Narendra Modi pointed out that scores of women in rural areas were working hard to ensure cleanliness. Crediting women for being in the forefront of the 'Swachh Bharat' campaign, PM Modi pointed out that scores of women in rural areas were working hard to ensure cleanliness. "In four and a half years, over 10 crore toilets have been built across the country. We have to ensure that these toilets are used," PM Modi said in his address at the 'Swachh Shati-2019' programme in Haryana's Kurukshetra. "The taunts of those born with gold spoon do not prick me. I will continue with my efforts to make life better for women," PM Modi added. Taking a dig at the Congress, PM Modi said: "Some people think that the history of India started from 1947 and started from only one family. This has cut the country from the roots of history." "Corrupt people are getting scared of this 'chowkidar'. They are issuing threats to me and saying a lot of things about me. I am neither afraid of such corrupt people nor am I going to stop my efforts to free this country from such corrupt people," PM Modi said.